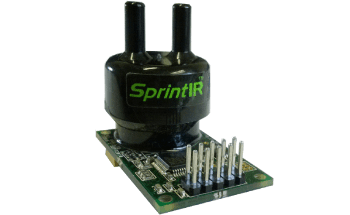 Unmatched by any other NDIR CO2 sensor in the market, the SprintIR®-6S Fast Response CO2 Sensor features an ultra-fast response, with a rate that is 6 times faster than the current SprintIR®-W. This makes the sensor ideal for high-speed applications, such as veterinary medicine, food production, breath analysis, sports science, and metabolic assessment. The SprintIR®-6S is designed for applications requiring the capture of rapidly changing CO2 concentrations. It is, however, suitable for measuring concentrations from 0-100%. Designed with a sample volume of only 2 mL, the sensor is able to accomplish 20 readings per second and is 6 times faster than the SprintIR® CO₂ sensor in terms of response rate. 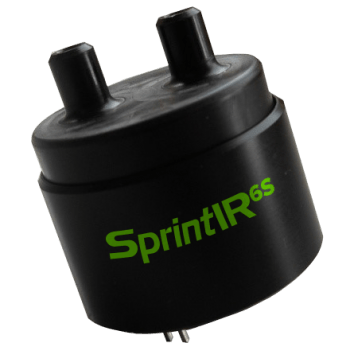 This makes the SprintIR®-6S the world’s fastest battery-powered NDIR CO2 sensor.